There are dozens of web hosting company in the marker. If you are searching for the hosting company whom you can trust and can help you to reach your goal in popularizing your website and increase you traffic then Bluehost is another hosting company which is best for you. Bluehost is One of the oldest web hosting company founded by Matt Heaton and Danny Ashworth in Provo, Utah. Bluehost has become the largest brand name when it comes to WordPress hosting. They are an official ‘WordPress’ recommended hosting provider. Bluehost offers a wide variety of hosting plans for beginners to larger businesses with a 24/7 customer support. Their 24/7 expert support is always there to help when you need it by phone, email, or live chat. Shared hosting is one of the most popular hosting options for those who are building their first websites. Every person who build the first website started his journey from a shared hosting account. Shared hosting allows multiple websites to utilize a single server. The cheapest hosting option is shared hosting plans. Bluehost has three different type of plan and they are Basic, plus and Prime. Bluehost shared service delivers a powerful, proven platform which is perfect for hosting for your website. Bluehost has Starter, Performance and Business Pro Cloud hosting plan. On the cloud your website is more reliable. Your data is automatically mirrored across three distinct devices. No more long load times. Along with premium hardware and low-density servers, Bluehost cloud platform includes a varnish caching layer and global cdn to ensure your server resources are focused where they should be. Static website content is managed more efficiently so dynamic requests can be processed quicker than ever. Bluehost offers fully managed fast, secure and simple WordPress hosting plan. Built on revolutionary VPS technology. 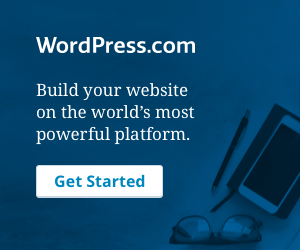 Bluehost has a unique architecture engineered to deliver unprecedented performance for WordPress hosting. Everything you need to make WordPress websites secure, easy to use, and extremely fast comes standard. Bluehost has integrated key features and built tools that make it a breeze to run WordPress. WP Standard, WP Enhanced, WP Premium and WP Ultimate are Bluehost’s WordPress hosting plan. WordPress is a powerful content management system designed to work with the best shopping carts and online stores in the world. And, with WooCommerce seamlessly integrated, taking credit cards and processing orders is a breeze. Use the power of WordPress, reliability of Bluehost, and versatility of WooCommerce to get your online store up and running fast. VPS hosting is a Virtual Private Server. VPS web hosting is a new form of web hosting recently its gaining more popularity. A VPS is a particular portion of a server which has separate server-like surroundings. For those people who cannot afford dedicated servers but need something higher than shared plans VPS hosting is best for them to host their website. Bluehost virtual private servers are built from the ground using all SSD storage. Enjoy increased power, flexibility, and control for your websites. Bluehost offers Standard, Enhanced and Premium dedicated servers hosting plan. When you want the ultimate in website performance, security, and control dedicated hosting is best for you. Each server is custom built in-house by our engineers using only the latest technology. And our use of open source technology, like OpenStack, gives us the flexibility to upgrade performance over time. Bluehost use only high-quality storage with RAID level 1 support on dedicated servers. Your drives are completely mirrored, ensuring your data is extremely well protected. This feature is not found on most dedicated solutions.